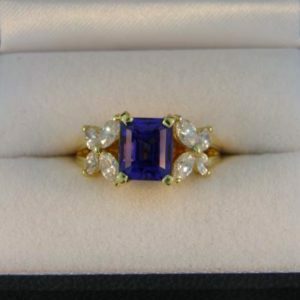 This mid-century ring was originally worn as a diamond engagement ring, but by the time our client had inherited it the center diamond had been removed and remounted in a more modern setting. 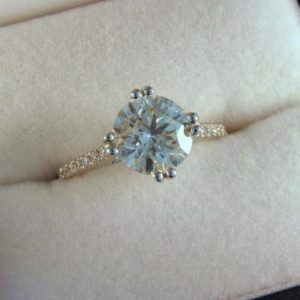 Thus the client wanted to fine a new center stone to breath life back into the mount and make this a fun right-hand cocktail style ring. She ended up choosing this teal-blue Afghan Tourmaline that was cut by award winner Clay Zava, who is known for these Portuguese rounds with amazing brilliance. 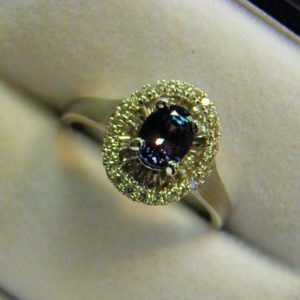 Once we set the tourmaline we re-tipped the diamonds and refurbished the shank such that the ring can be worn for another generation. 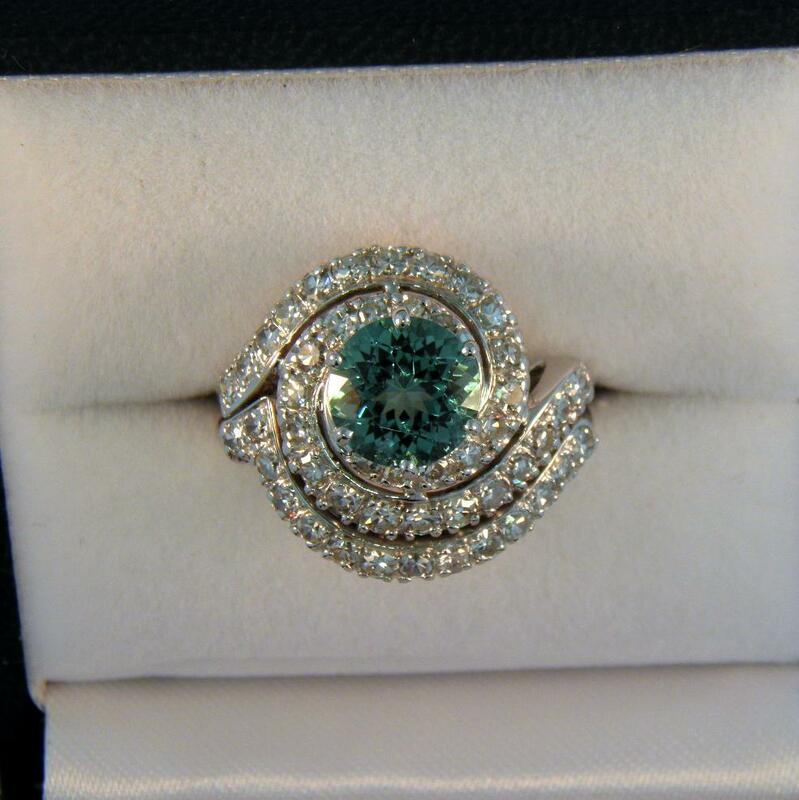 Details: 14k white gold swirl ring with 1.75ct round Indicolite Tourmaline and 1.00ctw diamond accents. This item was custom made for a client. Please contact us if you are interested in finding or creating a similar item.